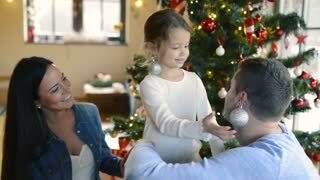 Search Results for "Little girl covering her ears"
Beautiful young family with little girl decorating Christmas tree at home. Daughter giving her mother and father Christmas ornaments on her ears. Screaming Asian Girl Covering Her Ears With Closed Eyes.